Dinner Bell Farms mission is to inspire love for land, animals and community around the dinner table. 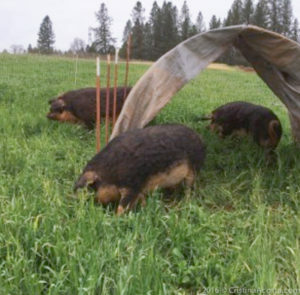 They will be bringing pasture-raised Mangalitsa and Mulefoothogs meat to the market this week. 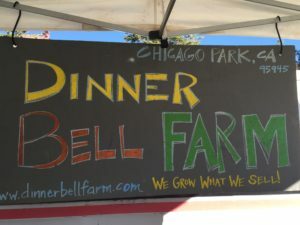 Dinner Bell Farm is micro- family farm located in Chicago Park, CA, just outside of Grass Valley. 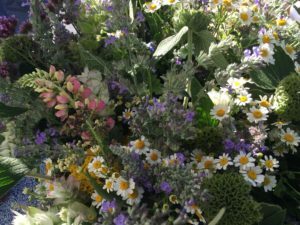 They run a 30 acre, diverse farming operation specializing in pasture-raised Mangalitsa and Mulefoothogs pigs and specialty fresh flowers. 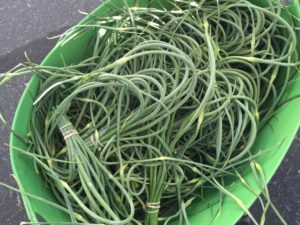 By playing an active role in their community, staying true to our values, and closely observing the land they steward, they aim to create a model farm that is financially successful, ecologically sustainable, and socially just.